Homeowners across America enjoy entertaining guests and relaxing on decks, enjoying the great outdoors in a comfortable, room-like space that’s somewhat removed from the elements. Choosing the wrong side of your house. 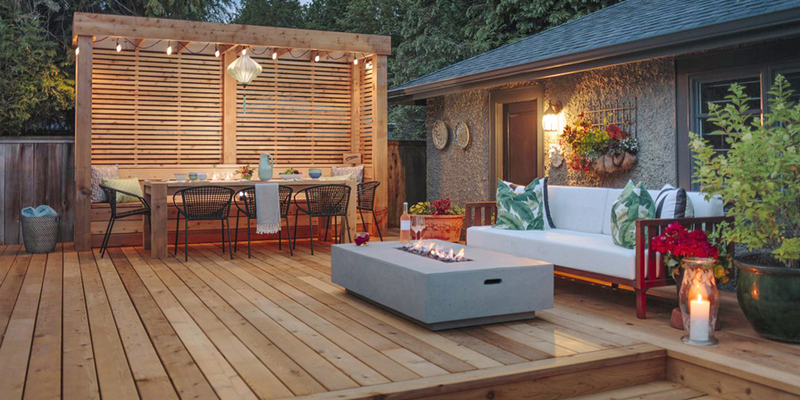 While your backyard is an obvious option, it’s not always the best choice for your lifestyle. Are you most apt to enjoy a full-on sunny spot, or a shady haven on a sweltering day? Will wind be an issue? Are you aiming for privacy, or a chance to socialize with neighbors? Which positioning provides the best views? Not researching your optimal layout. A nearly endless number of sizes and shapes are possible. Think beyond aesthetics and consider how you’ll use the space. Where will furniture be placed? What will the foot traffic patterns be? 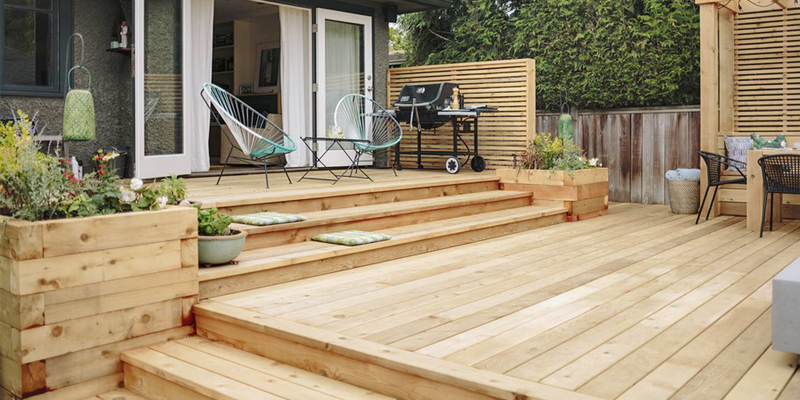 How will users access the deck from inside and outside your home? To what extent will new doorways and stairways be necessary? Not opting for real wood. While the grain of authentic wood is hands-down more visually stunning than composite, many homeowners don’t realize wood can also be more affordable and just as easy to maintain. The NAR study also found wooden decks recoup greater resale value than composite decks. A particularly versatile choice for decks is a Red Cedar, a species that inherently resists rot, decay, shrinkage and insects. And if left unfinished, it weathers over time into an attractive silvery gray patina. Not factoring in maintenance and upkeep. Regardless of materials, decks typically need periodic cleaning to protect them from the elements and keep them looking like new. A cedar deck should be cleaned annually with a plain bristle brush. If you choose to stain your deck, be sure to select a quality product.